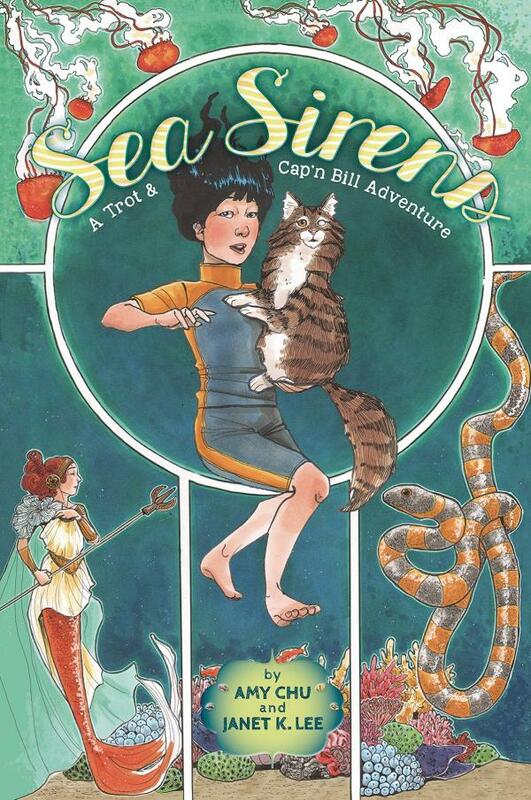 Dive into this visually stunning, middle-grade graphic novel about a spunky Vietnamese American surfer girl and her cantankerous talking cat who plunge into a fantasy world of oceanic marvels . . . and mayhem! Trot, a Vietnamese American surfer girl, and Cap'n Bill, her cranky one-eyed cat, catch too big a wave and wipe out, sucked down into a magical underwater kingdom where an ancient deep-sea battle rages. The beautiful Sea Siren mermaids are under attack from the Serpent King and his slithery minions--and Trot and her feline become dangerously entangled in this war of tails and fins. This beautiful graphic novel was inspired by The Sea Fairies, L. Frank Baum's "underwater Wizard of Oz." It weaves Vietnamese mythology, fantastical ocean creatures, a deep-sea setting, quirky but sympathetic main characters, and fast-paced adventure into an imaginative, world-building story.